BBC’s Conor McCauley contacted me on Twitter to let me know about a recent milestone in MOJO courtesy of the BBC Newsline Crew. “There’ve been five weeks of tension in Belfast linked to a City Council decision to restrict the flying of the Union Flag to 18 days a year not all year round as previously. Monday night saw the first council meeting since the decision had been taken by local politicians in December. That meeting had been marred by disorder and disruption to proceedings by protesters who’d reached the back door of the building. Due to concerns over a repeat of the trouble, the decision was taken not to deploy a satellite truck, but instead to cover the meeting live using the Skype App on an ipad. We used a Mifi dongle on the Three network which was supplied to our political editor Mark Devenport. It was the first time we’d tried it. A separate radio cam outside supplied live shots to supplement the report. 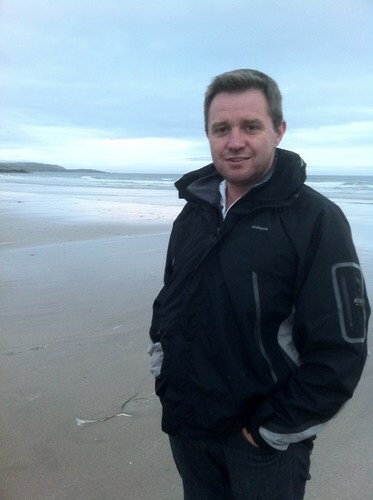 Here our political editor Mark Devenport describes what it was like. “With Belfast City Council not meeting until 6pm and councillors likely to raise rates and other issues first, it was always going to be touch and go getting their comments on flags onto BBC Newsline 6.30. 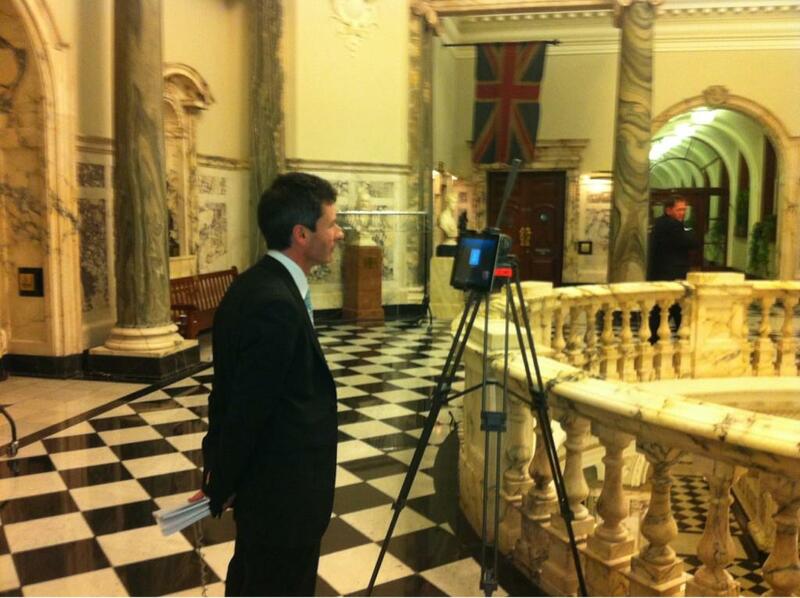 The only option was to broadcast from the Rotunda area immediately outside the Council chamber. I’ve broadcast live from the Rotunda before – during council elections – but that’s required a broadcast truck parked directly outside the City Hall. Given last night’s security concerns around the building that wasn’t an option. So instead the newsroom suggested a Skype call via an iPad. With the iPad held firmly on a tripod and Donna’s questions in my ear courtesy of my mobile phone I was able to scurry out of the chamber at 630 sharp and give a sense of the debate to our viewers. The picture quality was a bit grainy – one sceptical viewer thought I was transmitting from Outer Mongolia – but the sound was good. The director superimposed me in a box hovering over City Hall not far from where the flag once fluttered.